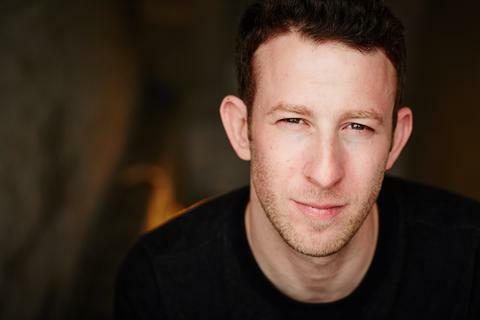 I would like you to meet Nick Blaemire! 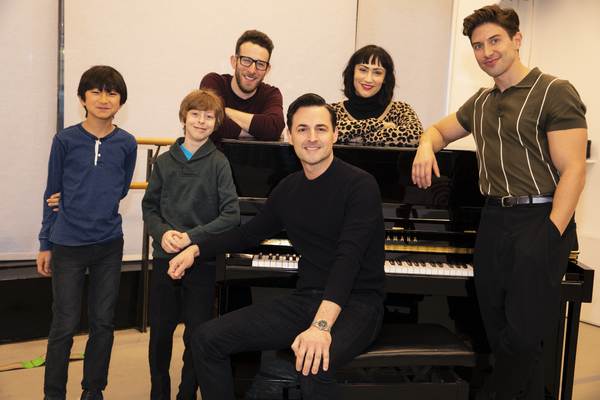 Nick will be playing the role of Mendel in the National Tour of Falsettos which begins this February. Nick has been seen on Broadway in Godspell (his performance of ‘We Beseech Thee’ is still one of my favorites) and Cry-Baby, Off-Broadway in Tick Tick Boom! (Which earned him a Drama Desk Nomination), Found, Dogfight, and The Black Suits. Nick also wrote the music and lyrics to Glory Days (Book by James Gardiner), A Little More Alive, and Soon. At the age of 22, Nick was the youngest person ever to have written a Broadway musical (Glory Days) while also performing in another Broadway musical (Cry-Baby) at the same time. After following and admiring Mr. Blaemire’s career for many years, it was a thrill for me to have the chance to interview him. I started when I was a kid, like 3. And for the first part of my life, it was all about make-believe land, getting attention, being around people who accepted me (I was an awkward dude for a while there). Then at around 15, I lost the ability to say "no" to doing shows -- it was like a magnet, they were too much fun, and I felt more at home in a theater than anywhere else. But it wasn't until college that I realized -- "oh, this performing thing is about way more than I thought. It goes way deeper. And if I follow it, I can learn about life through the lens of art." I think my body knew before my brain did. When did you realize that you enjoy being on the other side of the table as a writer? That happened on the first show I wrote, Glory Days. I was 18, in my childhood home in DC, telling my friends where to stand and what to sing -- and they were letting me! They didn't want to write the show; they wanted to act it. So, I had found this other world, inside a world I already knew as an actor. It gave me a chance to zoom out, and investigate how the show was working (which admittedly I was doing too much of as an actor at the time, I was pretty overthinky, still working on that). But I suddenly had an outlet for all those thoughts. Though at a certain point writing is still all about instincts, and I've gotten better at both acting and writing by trusting my instincts more and more as I get older. I also love getting people into a room. Actors have to wait for someone to let them into a room, and it's a hugely frustrating part of doing it professionally. But writers get to facilitate the community by writing a thing for people to do. Some of my favorite experiences in New York have been readings of shows I'm working on, where friends read and sing parts and then give me feedback. Everyone is so engaged, so useful, in those moments. Did you have any mentors growing up who helped you become the performer and writer you are today? Many. Tim Reagan at Bethesda Academy for Performing Arts (now Imagination Stage) and Sidwell Friends School (I followed him there when I was getting bullied in public school, and he really gave me an artistic home before I knew what that was). The late, great, Jane Pesci-Townsend, who I also met at BAPA, but didn't get to really work with until I was a teenager. She taught me how to sing, and how to pay attention to behavior. I got really lucky finding those compassionate, brilliant humans. How has your time been in the National Tour of Falsettos and do you have any favorite moments in the show? My mind is blown daily. The show is just unbelievable -- from the writing to the staging to the legacy it has in the theater canon -- and I love trying to figure out how I fit into its unique language and rhythm. It's a kitchen sink opera, epic and intimate at all times, which I realize may well be my favorite sub-genre of musicals. So lately, every day has been my favorite day on the show. I can't wait to get to know it better -- though I'm also trying to savor every moment, so perhaps I can wait! And will be forced to, as that's how time works, so that works out. What are some shows in your career (Writing and/or Performing) that you have done that will always be near and dear to your heart? Tick Tick Boom! at the Keen Company. The Black Suits with Joe Iconis at the now-defunct SPF Summer Series. The Last Goodbye, a re-telling of Romeo and Juliet with Jeff Buckley songs, that we did at Williamstown. A Little More Alive and Soon, two musicals I wrote that got productions in the last couple of years. I've met some of my best friends through those processes, and have become better as a person and an artist because of them. Frankly, there's nothing I've done that hasn't been useful in some way. There's always a lesson in there somewhere, even if its worth doesn't show up until later. Search for balance. Between focus and fun, between belief in yourself and staying humble, between trying to succeed in your career and trying to get better internally. They all matter, in moderation. And they're hard balances to strike, but if you can keep your eye on the idea of balance, and stay okay with the fact that the balance is going to change by the day, then you just might find it once in a while.